Chipmunks are small, striped ground squirrels found throughout North America. They are small, only 5-6 inches long. They primarily eat and store nuts, acorns, berries, seeds, mushrooms, insects, and carrion. They are inactive from late fall through winter, relying during that time on their stored food. 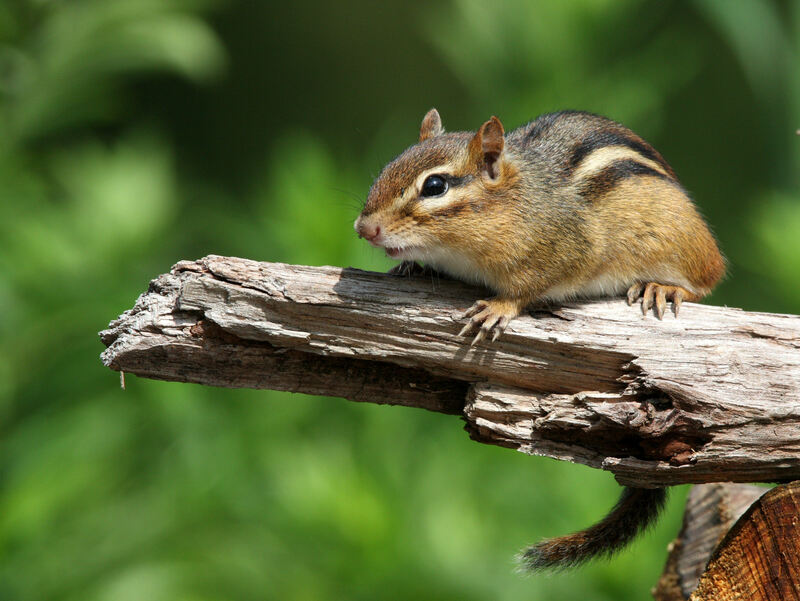 Chipmunks are found in open forests and woodlot edges with rocky cover, but they also inhabit areas in and around homes. They dig extensive burrows in, around, and under plants, stumps, stone walls, rocks, buildings, patios, and foundations. Chipmunks breed twice per year, in spring (April-May), then in summer (July-August), bearing 4 to 5 pups per litter. Breeding seasons should be considered when conducting nuisance control activity in order to avoid orphaning young. Entry into basements, garages, etc.